Rylie has been a werewolf for a year and is desperately trying to reconcile himself with the people she killed in the last book. It isn’t going well, while Adam and the other werewolves are roaming and learning control, she is desperately trying tom isolate herself… and she has a silver bullet ready. But the mountain where it all began is calling her – and not just her, but all the werewolves in the world are being drawn back to the source. And were werewolves gather in such numbers, so too do hunters. I have to say I am a little disappointed, in the end, by how Rylie became the superior Alpha which I’ve seen in other series of books set in this world. I expected her to do some thing or learn something or achieve something – I expected her to earn it in some epic, awesome moment. To have it be bestowed divinely without me seeing particularly why felt like something of a cop out. I expected this series of books to continue to show her growth as she went from ordinary teenaged girl to confused werewolf and eventually to something even more – and I feel it didn’t quite reach that potential. Not that Rylie didn’t grow and change, in fact her progression through the book is pretty excellent. She begins fully reeling from the deaths of the last book. She is consumed by guilt, suicidal and generally not entirely sure she shouldn’t die – or that all werewolves shouldn’t die for that matter. It’s one of the interesting conflicts of this series – while it’s nice to think werewolves are being persecuted and attacked by the big mean hunters the fact remains that they are out of control when they change, the can’t control their changes and they do kill people. Rylie herself has killed people, innocent people. 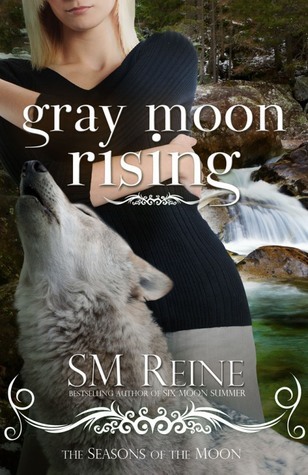 This is also why I was a little disappointed by the whole superior Alpha thing – because I could see where Rylie was going, her concern for others, her willingness to bring the werewolves together – she was heading towards alphaness. She was getting there – she just seemed to reach her destination before actually, well, reaching there. The hunters bring their own nuance – they, and the union, are not generally evil vicious hunters. They are legitimately trying to protect people from rampaging monsters and the werewolves definitely are rampaging monsters, albeit not by choice or design and even though they wish it were otherwise. Until we reach Eleanor. I really think with all this nuance and levels and truly complicated conflict that she stands out as outright cartoonish in her evil. She is the irredeemable, empty caricature of evil. It certainly cuts through all the levels and gives us an evil, go-to antagonist but I’m not really sure if it was remotely necessary. It took something from the narrative to decide to cut through all these layers with Evil Eleanor who may as well have drowned some puppies and grown a moustache for her to twirl. Technically there are LGBT characters – in that we were told in previous books that one of these characters is a gay man and one is a lesbian. There is no mention of it in this book, but then there’s almost no mention of them either. I liked this book but am left frustrated by it. I thought the whole book, this whole series, was gearing up for a massive character growth for Rylie, for a moment where she finally arrived and I saw the moment when she finally became the character we see in the other series. And when it happened it was… anticlimactic.